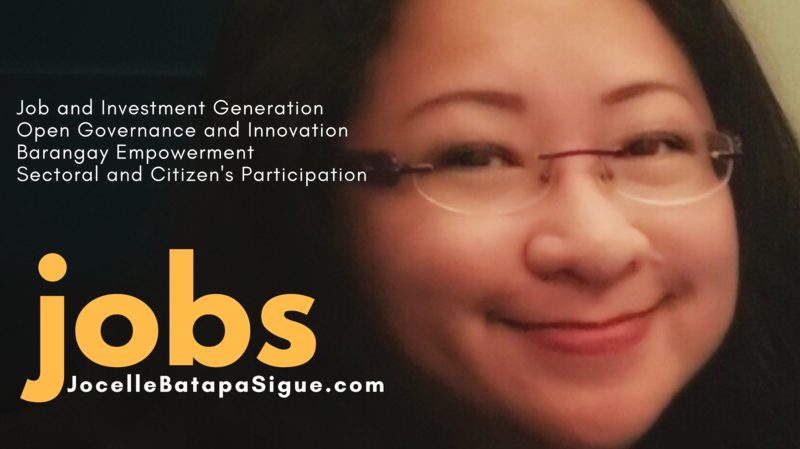 “Do not be a part of the problem – be a part of the solution.” The message is loud and clear – Bacolod is looking for solutions, and not just solutions but innovative and creative solutions built around concensus. This is the essence of One Bacolod which I launched on November 30 also as a tribute to the life and sacrifice of our national hero, Andres Bonifacio, the Father of the Philippine Revolution. Given this problems, I presented solutions in the form of visuals. Bacolod has a lot of ordinances already. What we need is to inventory and implement the most relevant and urgent. This point gave me the opportunity to share all the ordinances I have authored as a councilor. I also laid down the basic strategies for effective leadership which I coined as JOBS. Finally, I needed to emphasize that there is no other way to effect good governance and achieve its ends aside from abiding with the eight tenets prescribed by the United Nations. The most important idea is to realize that Bacolod will constantly bear the effects of urbanization, pollution, mismanagement of fiscal and non-fiscal resources – if we remain under a kind of leadership that is not open to new ideas and innovation. One Bacolod is the response to this very exclusive governance happening in Bacolod today. One Bacolod is all about participation and consensus building. I wish to see more Bacolodnons joining us in this quest for change.